Dan and I sit down and talk about working in professional sports, hanging around the weight room, and the application of exercise science in physical therapy. Dan Lorenz, DPT, PT, LAT, CSCS is a recognized clinician, educator, and author in sports and orthopedic physical therapy. Besides being a PT/ATC, he is also a Certified Strength and Conditioning Specialist and a USA Weightlifting Level I Sports Performance Coach. He spent some time at the U.S. Olympic Training Center back in ’04 before serving as an assistant athletic trainer and physical therapist for the Kansas City Chiefs. Dan is the current Chair of the Sports Performance Enhancement Special Interest Group (SIG) and is the Editor-in-Chief of Home Study Courses for the Sports Section. 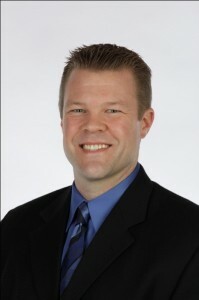 He also now runs his own clinic in Kansas City called Specialists in Sports and Orthopedic Rehabilitation (www.ssorkc.com). If you follow the PT and strength training literature you may have seen his name from time to time as he is a frequently published author.